It is lantern festival next week in Ansh’s Kindergarten, and we parents had to gather and make the lanterns for the kids. It was fun-filled friday afternoon, all the moms showing their creativity, gossiping over tea. Ansh liked his lantern and helped to decorate with glitter, colors and feathers. 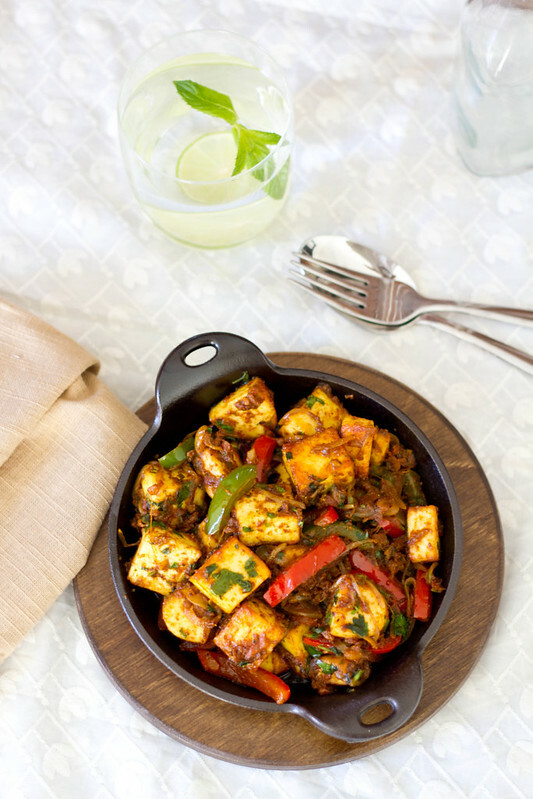 Coming to the recipe, this is a delicious paneer dish which can be made easily in minutes and goes well with flavored rice or rotis. Take water in a bowl and add salt. In the same oil, add in the whole garam masala. Once they splutter, add in onions and fry till golden. Add in ginger garlic paste and fry till raw smell disappears. Finely chop the skinned and seeded tomato and add it to the oil along with tomato paste. Cook well till oil separates. Add in sliced capsicum and fry for few minutes. Add in all the masala powders from coriander powder to salt. Mix well. Cook till capsicum is done. 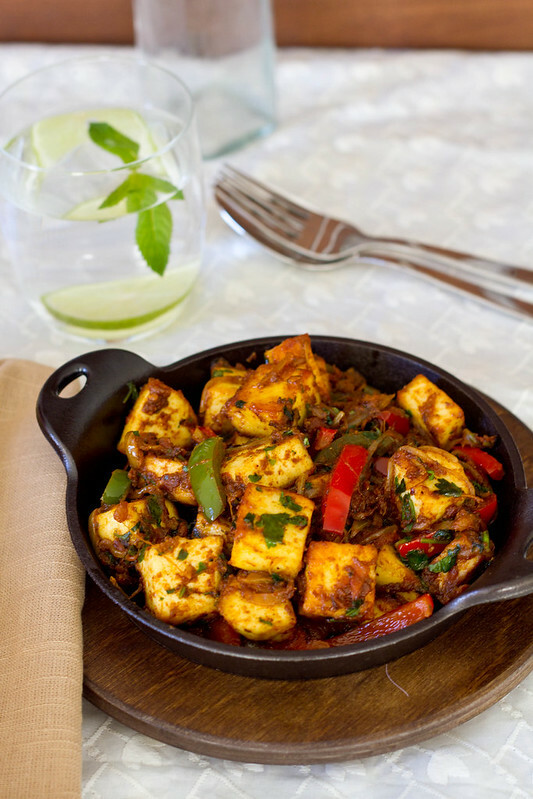 Add in paneer and coriander leaves. Give a nice stir. Turn off heat and squeeze in lemon juice. 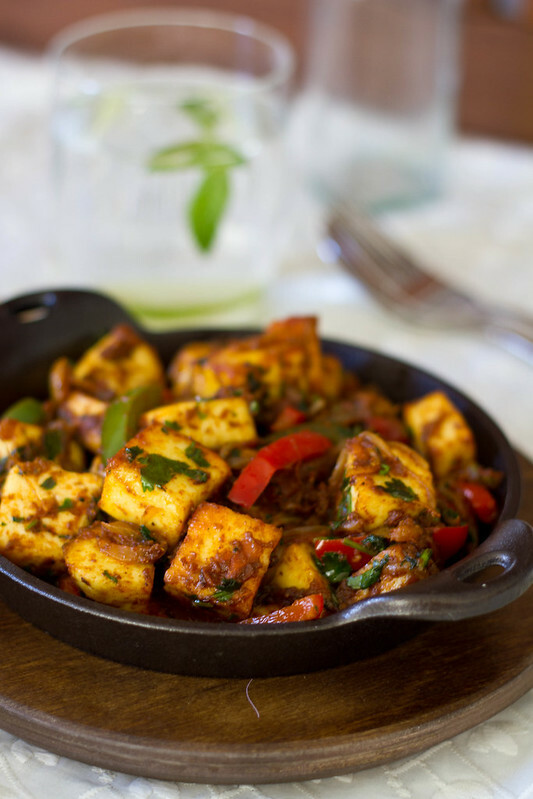 Serve hot with Roti’s or Steamed Rice. This looks absolutely mouth waterings. Any day I would take Indian food over any other cuisine! Tried the dish today..was a welcome change…the lemon juice in the last and the blanching of tomatoes did the trick I believe! I am very glad it came out well. Let me know how the cake come out.